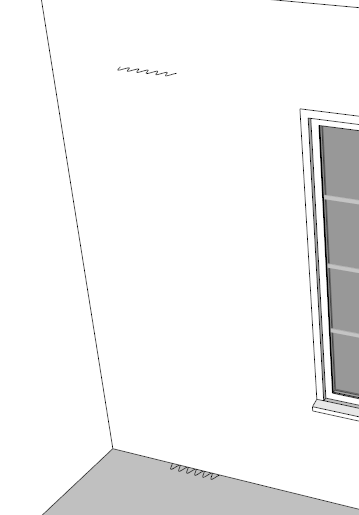 Many of the comments that I often get is that Sketchup does not work for organic shapes and that it is too simple. Nothing more wrong to think that simple is synonymous of low capacity. 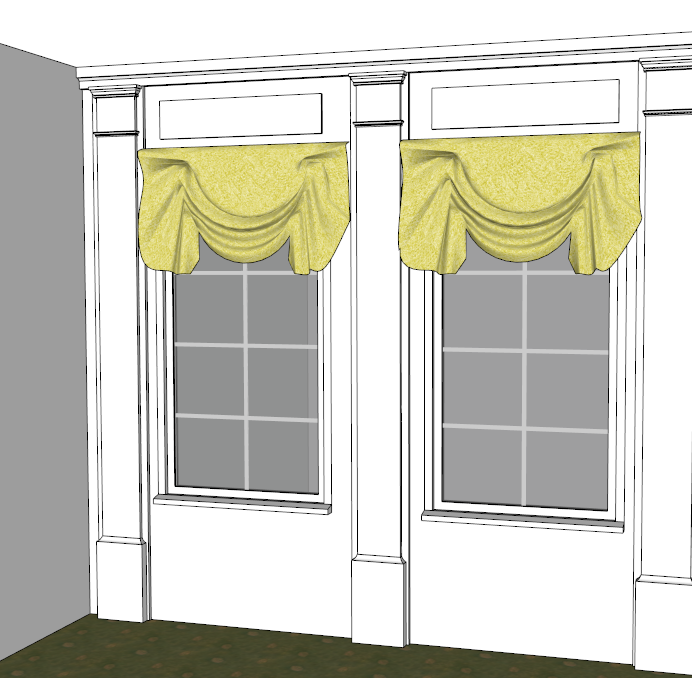 SketchUp despite its intuitive and easy platform, it is able to solve really complicated models in much less time when compared with other software on the market. 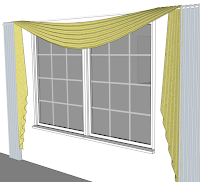 Today I will show you how to make curtains and window treatments in Sketchup using Curviloft 1.2c and Fredo Scale, two free plugins developed by Fredo6. You can get both plugins in http://www.sketchucation.com. 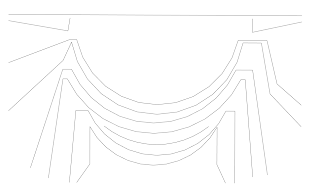 For drawing curves I will use Curve Maker available at http://www.drawmetal.com/download or you can also use Bezier spline by Fredo6. 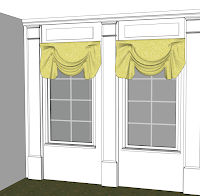 After installing the plugins you can not only use them as it is shown in this post, but you can use them in a variety of organic shapes and even for furniture carving or molding. It took me less than a minute to create this carving using the mentioned plugins. 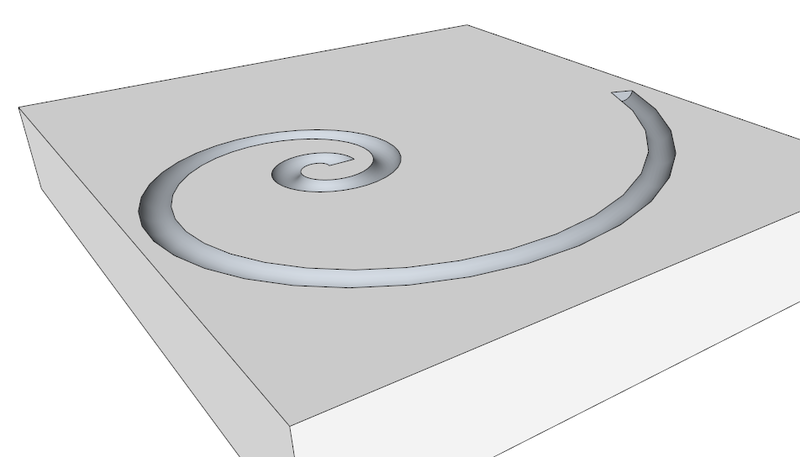 Curviloft essentially creates organic forms using loft junctions between surfaces based on Spline curves, following a given path or two paths. 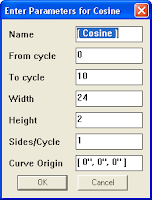 Compared with other plugins that allow the creation of organic shapes it is extremely fast and efficient. 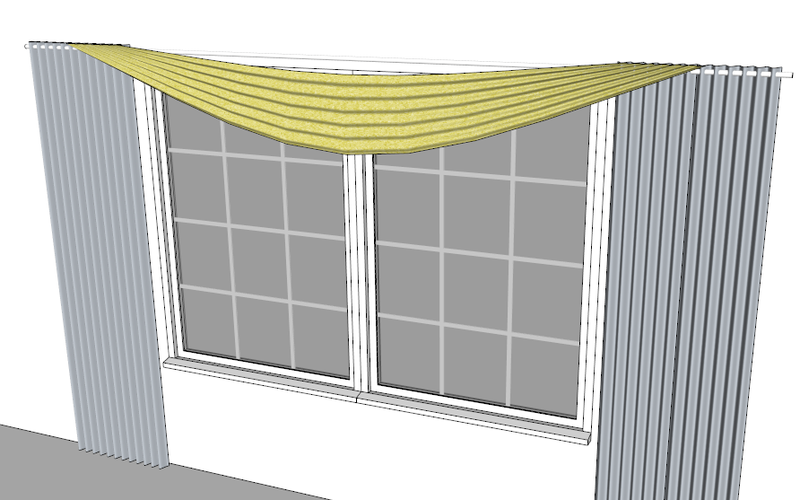 In the first example I will show you how to make a valance. 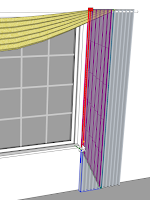 I used a photo to mark up the main lines that will serve as contours for using the option based on Spline curves. Having defined the contours I deleted the picture, leaving visible only the geometry. 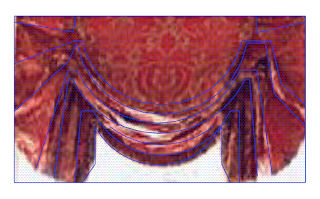 Then I moved and placed some of the contours in the blue direction to create the folds of the fabric when using the plugin. 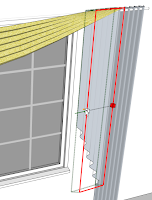 Once this step is done you have to select the Spline curves option of Curviloft and select one by one each contour in the established order. I entered for sides “1” to allow as less segments I could. The other dimensions define the depth of the curves. 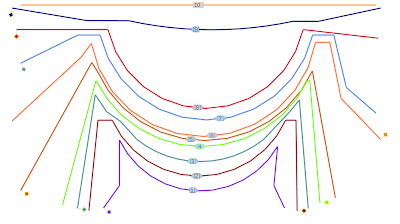 Once I drew the profile I placed it in the correct position and I exploded the groups. 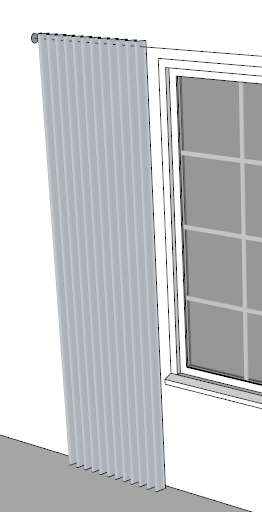 Again I used the option based on Spline curves of Curviloft to get the result shown here. 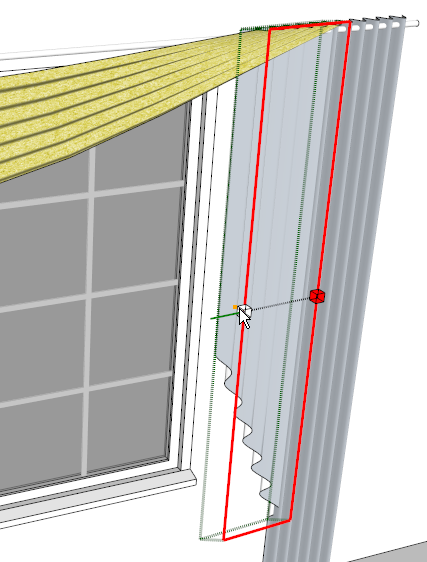 For the curtain rod I used the option Following a given path. 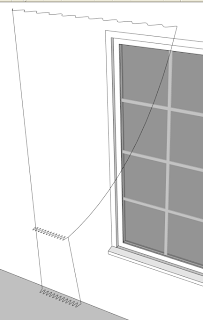 The third example relates to swags with traversing sheers. 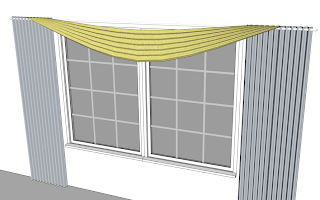 I started by drawing the dropped arc on top of the window and placed the contours that simulate the fabric folds. 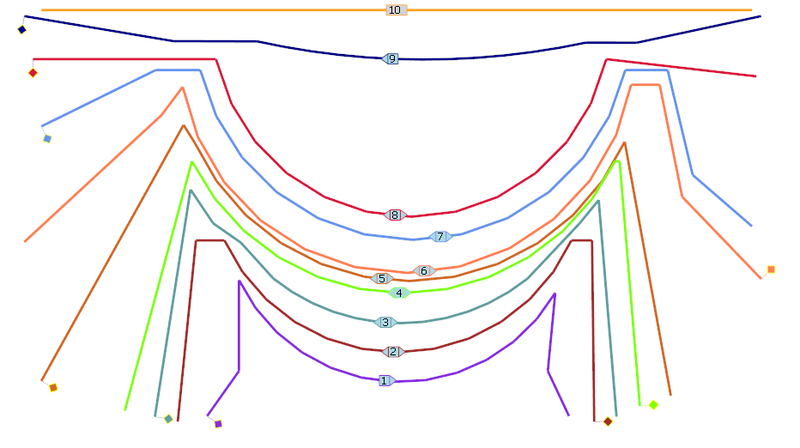 I chose the option based on Spline curves of Curviloft and then selected the three contours in the shown order. 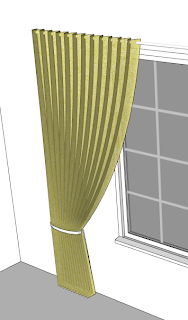 For the side panels I copied the straight curtain and then I applied Fredo Scale plugin. 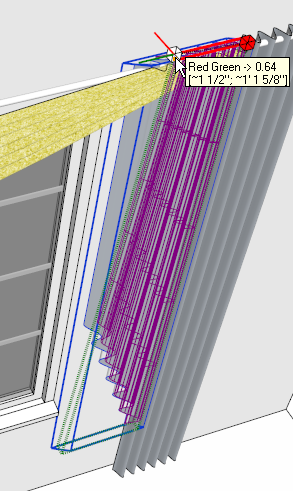 Using the Tapering with orientation of scaling box option I hovered my mouse on top of the depth side and drag it to shorten it. 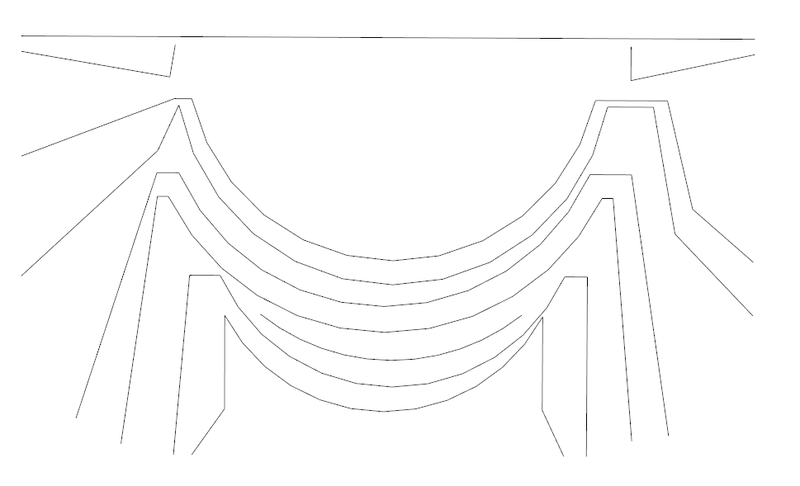 After, I applied the Planar sheering with orientation of scaling box to create the cascade and I rescaled the width to fold it more. 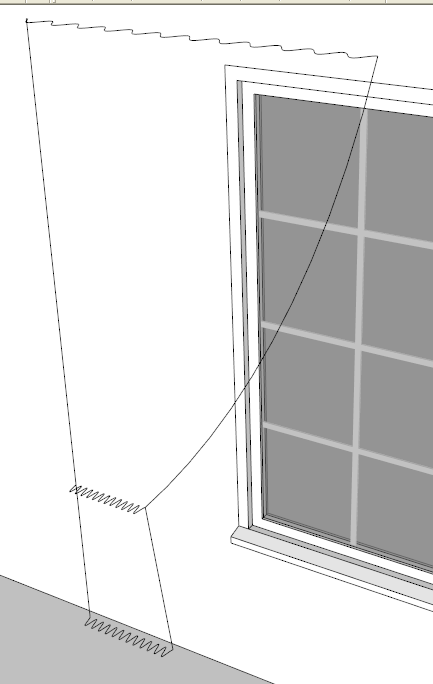 I copied on the other side of the window and mirrored it to obtain the below shown result. 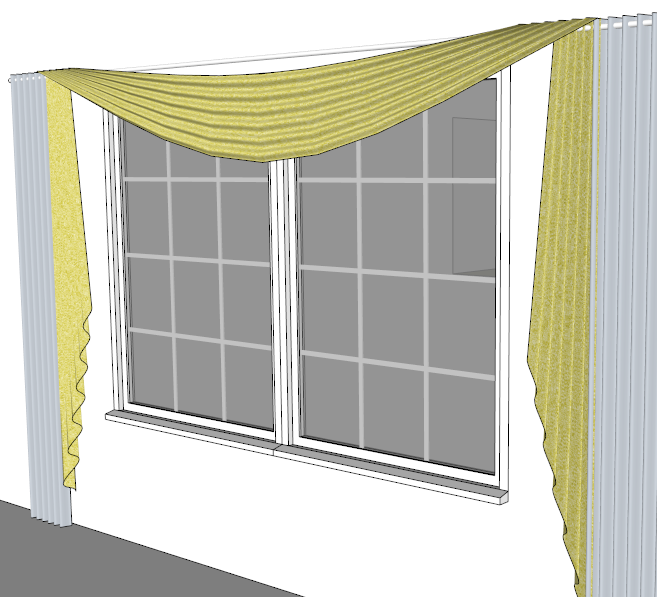 The last example is about how to make a tie back drapery. 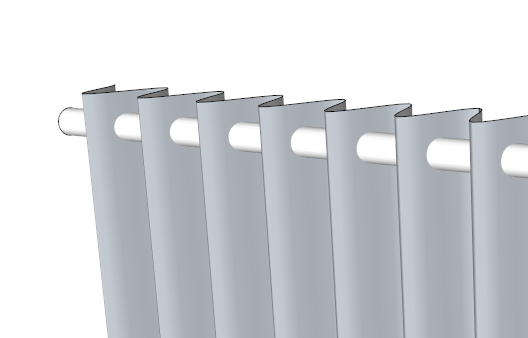 Using the same profile that I used for the first example I copied them and scaled the groups to get different widths. 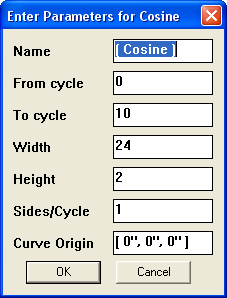 I drew all the missing geometry to define closed contours in order to use Skinning of shapes option of Curviloft plugin. 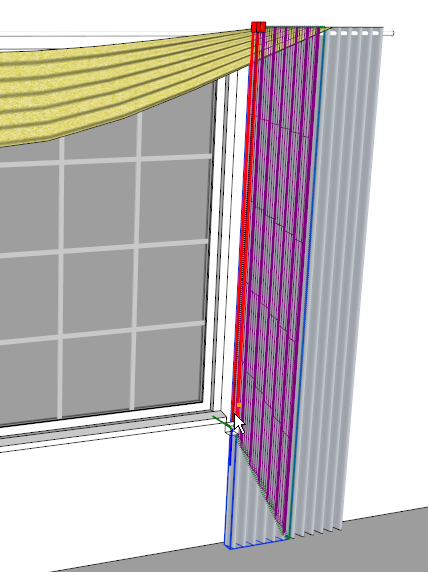 After selecting contours one by one and clicking outside after each selection this was the result. (the tie was added after). With the Scale tool or the Fredo Scale plugin you can resize the folds.